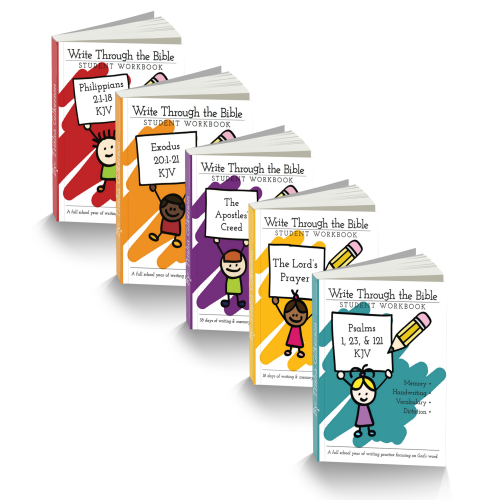 Get all three versions of this workbook for FREE if you are a subscriber to our Family & Homeschool newsletter! 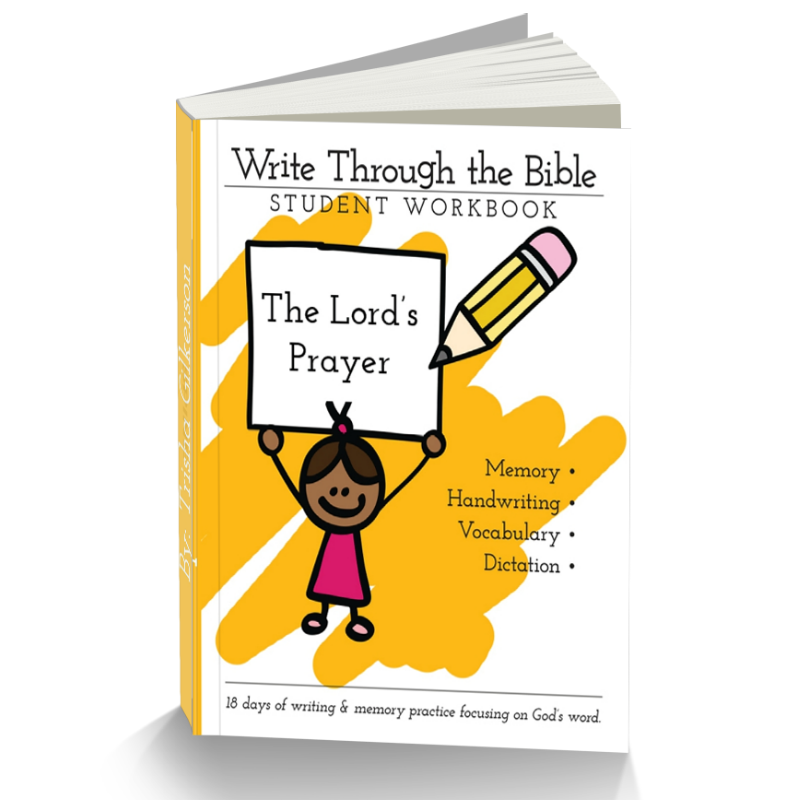 This is a downloadable workbook for students needing continuing handwriting practice. The text is from Matthew 6:9b-13 (the Lord’s Prayer). This workbook provides 18 days of copywork printables. Or buy a digital copy for $5. This is a mini handwriting workbook using the text of the Lord’s Prayer (Matthew 6:9b-13). The translation used was made popular by the Book of Common Prayer, and is still one of the most popular liturgical versions of the Lord’s Prayer recited today. This prayer has been recited in church liturgies and taught in children’s catechisms for centuries. In this prayer, Christ offers his disciples a model for how to pray. 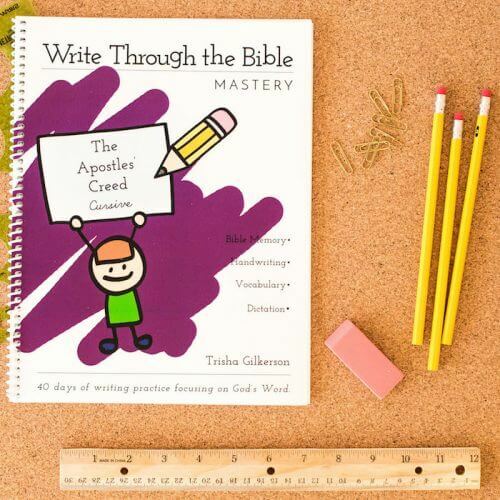 This workbook provides 18 days of copywork for students who need continuing handwriting practice. Do you plan to write a biblestudy to go along with the Lords Prayer? Eventually, yes. I would love to do that.